Our unique approach focuses on the continuous improvement of three key areas: people, processes and organizational security. This is achieved by creating standard and repeatable processes that not only maintain but sustain cybersecurity compliance for the long term. 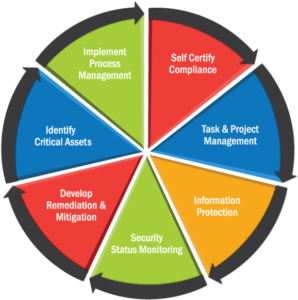 Sath ensures regulatory compliance by establishing effective governance framework, heightening cybersecurity awareness and establishing effective processes for incident reporting and documentation.